Lose yourself in blissful relaxation. Listen to your body and acknowledge its need for healing and pleasure. At The Bangkok Club Spa, you can choose from an enticing array of rejuvenating treatments that complement your personal needs-all designed to help you feel and look your absolute best! Allow us to provide for you an awakening of the senses and renewed enthusiasm for life. Please note that the Club is closed on Sundays. A facial is a delightful and uplifting experience that renews the harmony and beauty of the face, and restores a youthful feeling. As relaxing as a full body massage, our facials include a neck, shoulder and facial massage as well as cleansing, steaming and pore extraction. Massage is therapy that, when applied with skill and care, can precipitate many beneficial changes within the body, mind and spirit. Body Massages is a powerful treatment precisely because it works on both the physical and psychological levels, bringing both invigoration and relaxation. The techniques and strokes of massage can ease pain or tension from stiff, aching muscles, boost circulation, eliminate toxins and alleviate mental stress. 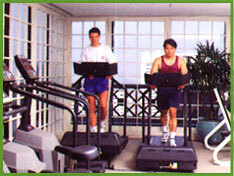 Body Therapies is Soothe your soul and your aching back, stressed out neck and highly deserving feet. The body therapies at The Bangkok Club Spa are important to the intricate balance of mind, body and spirit. 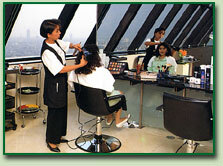 With such a wide range of spa services available, you can choose from old favorites or try something new. These therapies touch all your senses and foster balance and serenity. improve the appearance of hands, feet and nails, and leave the skin soft and pliable while helping dry cuticles and ridged, brittle nails to restore their nutrients and shine. Professional and fashionable hair cuts, styling, coloring, perming and hair treatments available to both gentlemen and ladies. 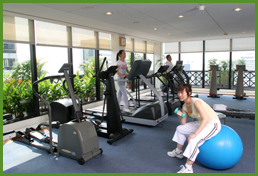 As an additional benefit and in recognition of the increasing health consciousness among today's executives, the Club provides Members with a private fitness and health facility. 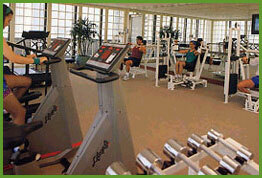 Our well-trained instructors will familiarize Members with the Club's exercise and cardiovascular equipments.